The difference is that when customers shop on AmazonSmile (smile.amazon.com), the AmazonSmile Foundation will donate 0.5% ($5 of every $1000) of the price of eligible purchases to the charitable organizations selected by customers. That charity then gets a donation based on how much I spend while shopping. I’ve never used AmazonSmile before. How do I choose a charity? Go to smile.amazon.com on your desktop browser. At the bottom right hand of the "Welcome to Amazon Smile" page, search "St. Mark School- Venice, CA." Make all future orders for Amazon on amazon.com in order for 0.5% of the price for eligible purchases to go to St. Mark School. How do I change my Amazon Smile charity? Sign into smile.amazon.com on your desktop. Under “Shopping programs and rentals”, click Change your charity. Search for “ Mark School - Venice, CA” in the box to pick your own charitable organization, and select this option. How much have I donated to St. Mark School through AmazonSmile? To check how much you have generated, go to “Your Account”. In the gray bar, next to your icon and “____’s Account”, AmazonSmile Donations shows how much you have generated for St. Mark School. Please note that we are NOT promoting Amazon as a retailer. 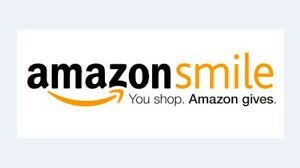 If you already use Amazon, this is one way you can support the school with through purchases you are already making on the website.